Saturday of every month for the Month's Mind Mass. at 10:00 a.m. outside at the cemetery. All are encouraged to attend. 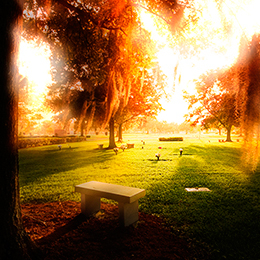 Calvary's in-ground and entombment facilities are nestled in a tranquil setting surrounded by the beauty of God's natural creation. Because of the thoughtfulness and generosity of friends of Calvary Catholic Cemetery, there is something new in the air at the cemetery. 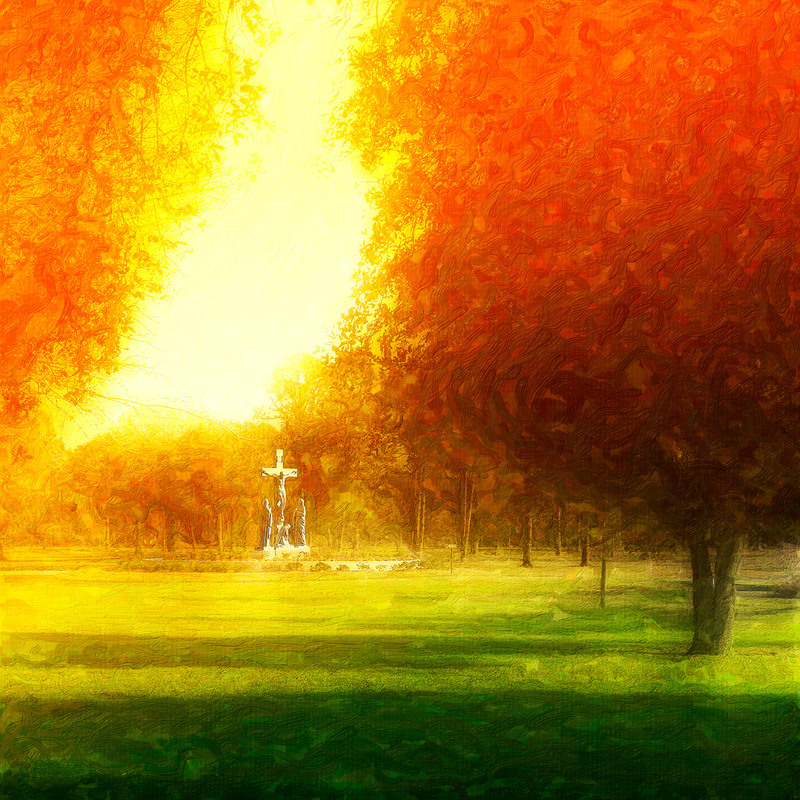 On the last Saturday of every month, we come together at 10:00 a.m. at Calvary Catholic Cemetery to take part in a Month’s Mind Mass in a spirit of love to pray for and remember our departed loved ones. The sacred grounds of Calvary Catholic Cemetery offer memorializations for every need from burial spaces, mausoleum crypts, family estates and private mausoleums and crypts. The three rites – The Wake; the Funeral Liturgy or Mass and the Rite of Committal at the cemetery – provide comfort, prayer and committal in keeping with the Church's belief of dignity and respect for all. 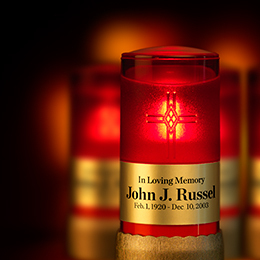 Calvary Catholic Cemetery is pleased to provide a limited number of electronic votive candles in the Chapel of the Resurrection for those who wish to honor the memory of a loved one.